What are offshore investment bonds? Internationally, offshore bonds are typically provided by global life insurance companies such as Friends Provident International, Old Mutual International, RL360, Generali Worldwide and Zurich International. Within an offshore investment bond, investments benefit from growth that is largely free of tax – often referred to as gross roll-up. This can have a significant impact on returns, as we will show you below. The overseas use of offshore bonds has unfortunately become associated with high-charging, opaque, commission-based salespeople - who sell risky investments to the unsuspecting expatriate. Because we review a lot of offshore bonds and providers, a commonly asked question is ‘do these offshore bonds work’ particularly for international executives. They are certainly sold prolifically to those with lump sums to invest, but they are not always sold with transparent fee structures, and that can be the undoing of an otherwise excellent solution. Therefore, the answer to this question is – yes, offshore bonds work well for many investors for whom they are suitable, but only when they are not subject to commission charges and high ongoing costs. An offshore bond is a tax efficient wrapper that can hold a variety of assets, like stocks and shares or mutual funds. One reasons bonds are issued offshore is because this adds the legal and tax shield of a life insurance policy to an investment portfolio. The offshore investment bond can be structured to combine a life insurance policy and a portfolio to create a wrapper that investors can buy, manage and sell their assets through. There can be potential tax advantages and investor protection advantages when issuing this type of bond offshore. The closest onshore equivalent is an open-ended investment company (OEIC). Offshore investment bonds, also known as portfolio bonds or wrappers, should not be confused with traditional bonds. Traditional bonds are fixed income investments where investors lend money to an entity (typically a company or government) which borrows the funds for a defined period of time at a variable or fixed interest rate. One of the major differences between onshore and offshore bonds is that taxation is deferred within an offshore bond due to low (or no) tax on gains and income arising on the underlying investments during the term of the investment. The tax deferral features of an offshore investment bond in theory let you choose when to pay tax, as this will be when you cash in some, or all, of your bond. The tax payable on a chargeable event such as this will depend on your highest marginal income tax rate at that time. Therefore, many expats are advised to postpone such an event until they are either no longer a taxpayer (because they have moved to a no-tax destination like the UAE), or have moved from being a higher rate taxpayer to a lower or basic rate taxpayer, perhaps when they retire. It’s really worth mentioning however, that if you do move to a different jurisdiction or already reside in a low or no tax country, the benefit of tax deferral may be lost to you. Wrapping your offshore bond in trust may mean you or your beneficiaries can offset or wholly mitigate taxes due when transferring wealth. If you have any assets above the inheritance tax nil rate band (the threshold above which inheritance tax applies) that aren't held in trust, they may be liable for inheritance tax at 40 percent. Also, an offshore bond or trust can be structured to allow you access to the funds while you are still alive. All of these points should be discussed in depth with a financial adviser, so that you can understand the features, benefits, risks and taxes that may apply in your case. Are offshore investment bonds taxable? Your personal tax status will determine whether your investments are taxable, and at what rate. In very general terms, offshore bonds can offer regular withdrawals that give investors access to capital in a tax-efficient way by enabling the withdrawal of up to five percent of each investment amount every year as tax-deferred income. This five percent can be taken every year for 20 years, or built up over a number of years and withdrawn less frequently, without triggering a chargeable event for tax purposes. A chargeable event occurs, for example, when you take out more than five percent a year, or you cash in your bond in full, or the last life assured dies, thus triggering an income tax charge. Tax deferral is a feature of offshore bonds heavily marketed to expatriates, even when it is inappropriate or not relevant, therefore do not be over-sold on this feature until you have explored whether it is available to you, and of benefit to you. Offshore bonds are tax wrappers, within which you can invest in a wide range of funds covering different types of assets such as equities, fixed interest securities, property and cash deposits. An offshore bond applies the legal and tax advantages of a life assurance policy to an investment portfolio, which can bring some useful tax advantages to the investor. Offshore bonds are taxed under the chargeable event legislation, which means gains are assessed to income tax, rather than capital gains tax (CGT). As the bond is invested with an offshore insurer, it does not suffer any income tax or CGT within the fund except for any un-reclaimable withholding tax that may have been applied. Any gains, dividends, rent or interest are taxed at 0% within the fund. For individuals any chargeable event gains will be chargeable to income tax at their appropriate rate: 20%, 40% or 45%. Trustees will pay tax at 45%. Taxpayers can use their personal allowance and the 20%, 40% and 45% tax bands when calculating overall tax liability. For trustees, the first £1,000 worth of chargeable event gains (assuming no other income) is taxed at 20%. An offshore portfolio bond is another name for an offshore investment bond. It is a potentially tax efficient investment wrapper that can hold different assets, such as stocks and shares and mutual funds. It is critical to note that the tax efficiency of an offshore portfolio bond is not always advantageous or applicable, and depends on your country of tax residence, and tax status. One of the most common questions our financial planners are asked is "why use an offshore bond?" Offshore bonds can be used as a tax efficient platform or wrap where you can manage your investments. They can offer an offshore bank account together with your own chequebook, credit card and internet banking facilities. Under certain circumstances they can make tax reporting more straightforward. Offshore bonds are not deemed to be ‘income producing assets’ - which negates the need for individuals or trustees to complete self-assessment tax returns. Gross roll up – investments within the bond can be switched without the requirement for any tax reporting and without rise to CGT. Income produced by investments within the bond is received gross, and will only suffer income tax on future encashment of the bond. Time apportionment relief - income tax liability is reduced proportionally for time spent as non-UK resident. For example, if you have been resident outside of the UK for half the term your bond has been held, the taxable gain would correspondingly be reduced by half. The bond can be assigned by way of gift without giving rise to an income tax charge, although there might be inheritance tax (IHT) considerations. 5% of the original premium can be withdrawn from the bond for 20 years cumulatively without being subject to tax, being treated as a return of capital. Bonds can be partially of wholly assigned (to another family member or individual), unlike ISAs or pensions. Bonds can be placed in trust - and taken out of a trust - without rise to an income tax charge or CGT. Gross roll up, or its absence, can have a significant impact on your investments returns. Assume you invest £1, and that initial £1 doubles in value every year for twenty years. Twenty years later, you may be surprised to see that your £1 investment would be worth £1,048,576. If however, that same investment was hit with a 20% tax charge each year, equivalent to UK basic rate tax, it would be worth only £127,482. If a 40% tax were applied, it would be worth just £12,089. You can see that the impact of tax is astonishing, and that careful tax planning via vehicles such as an offshore bond - where suitable and appropriate - is important. Time apportionment relief applies where an offshore bond is held by a chargeable person who is a UK resident for only part of the period between the policy’s inception and the chargeable event. Where this happens, any chargeable gain is proportionately reduced based on the number of days absent from the UK, divided by the number of days since the policy commenced. How does top slicing work? The top sliced gain is £15,000 divided by the 3 years - resulting in a £5,000 slice. Your total taxable income is £30,000, and because the higher rate threshold for 2017/2018 is £33,500, effectively, part of the slice is within the basic rate and part is within the higher rate. Top slicing allows tax to be applied proportionately at different rates on each slice. As a result £3,500 is within the basic rate of tax and £1,500 within the higher rate. The total tax on the slice is £1,300 (£700 + £600) which is effectively a tax rate of 26% ((£1,300 / £5,000) x 100). As your bond has been in force for three policy years, £1,300 is multiplied by 3 to arrive at the final tax payable on the gain which is £3,900. Onshore bonds can benefit from top slicing, but it is only available going back to the date of the last chargeable event - and not back to the start of the bond. This highlights another potential benefit of an offshore bond, which is time apportionment relief. Who issues offshore investment bonds? Offshore investment bonds are issued by international insurance or life assurance companies based in low or no tax jurisdictions like the Isle of Man and Dublin, where there are often investor protection schemes in place, making them of maximum appeal to onshore and offshore investors. These offshore investment bonds can be written on either a life (whole of life) assurance or a capital redemption basis. Where they are written on a life assurance basis, the policy comes to an end on the death of the sole or last surviving life assured. The bond can be surrendered at any time however, but may be subject to the deduction of early surrender fees over a specific period. Where a policy is written on a capital redemption basis, it has a fixed term and a guaranteed value at the end of that term. At maturity (after 99 years) the bond value is guaranteed to be at least twice the sum invested less any withdrawals. As with a life assurance policy, a capital redemption policy can be surrendered at any time, subject to any early surrender fees that may apply. 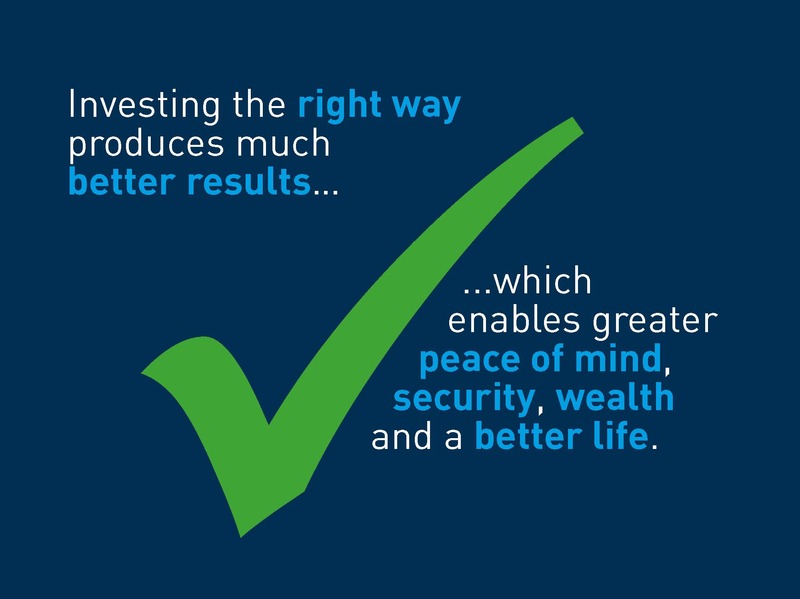 As with any tax wrapper, it is critical to choose the underlying investments with extreme care. The underlying investments within the bond will most likely play a far more crucial role in either meeting or failing to match your expectations than any other single factor. It should be kept in mind that this greater flexibility may result in higher charges. The provider will levy dealing charges to buy and sell different investments in the bond; there will also be custodian charges and provider-specific charges. There needs to be a sound case for greater investment flexibility that justifies paying much higher fees. 1. Investors who are, and will definitely be, non-UK taxpayers at the time of a chargeable event. 2. Investors wishing to benefit from the ‘gross roll-up’ effect, for example, an individual who is planning to live or retire abroad to a jurisdiction with lower rates of income tax than the UK, and who would be subject to local tax on chargeable gains. 3. Investors wanting to place their investment within a trust for IHT mitigation purposes. Tax deferred withdrawals of up to 5% per annum over 20 years. Dividend and other income may be subject to withholding tax which is non-recoverable. Income and realised gains in the funds are not taxed locally or may suffer a low rate of tax. On surrender, a higher or additional rate taxpayer pays tax at the higher or additional rate on any chargeable gain. A basic rate taxpayer pays 20% on any chargeable gain and a starter rate taxpayer 10%. Top-slicing relief will be available to basic rate taxpayers who become higher rate taxpayers on receipt of the bond proceeds, or higher rate tax payers pushed in to the additional rate band. For chargeable excesses arising from part surrenders or part assignments, the top-slice is calculated by dividing the gain by the number of complete years since the policy commenced, even if there have been previous chargeable part surrenders or assignments. The compounding effect of income and gains rolling up gross can make a big difference to the overall return, particularly over the longer term. These bonds are often issued from low or no tax jurisdictions, some of which offer investor protection policies, but the amount of protection afforded will depend on the jurisdiction in which the issuing life company is resident, and not all jurisdictions offer a local scheme. Offshore bonds, as their name implies, are outside the UK for tax purposes. This means that they do not come under the UK’s consumer protection rules. It is important to understand the consumer protection offered by the jurisdiction where the offshore bond sits e.g. Isle of Man, Dublin, or Guernsey. Only when you understand and are comfortable with that protection should you consider using a provider that favours one jurisdiction over another. All providers and all bonds have different charging structures, and it is an unfortunate feature of the most popular offshore investment bonds that their fees and charges are indecipherable. What are the main problems with offshore investment bonds? There is nothing intrinsically wrong with offshore investment bonds. They can be beneficial and suitable solutions for many people - both onshore and offshore. However, it’s the way they are sold that can cause problems. The main problem with offshore investment bonds that investors experience is high, hidden and confusing fees and charges. Even the most successful underlying investments will fail to thrive when subject to excessively high charges. In investment terms, the more you pay the less you get – and that is specifically why we strongly advise anyone with an offshore investment bond to have an X-Ray Review™ of their portfolio, to ensure it is not being eroded by excessive and unnecessary charges. Wrappers such as Old Mutual International’s Executive Investment and Executive Redemption bonds have different fee structures depending on the adviser who sells them. Meaning someone who uses a fee-only adviser may pay a flat and fixed, one-off fee to establish their bond, and then minimal ongoing charges. But someone who inadvertently trusts an adviser seeking the largest pay out could lose 9.5% of their money over 10 years, just in regular management charges – or worse still 9.5% of their money in the first quarter after inception if they suddenly need access to their capital. I have an offshore investment bond, am I paying too much? If you are an expat and you have an offshore investment bond, especially but not exclusively if that bond is part of your pension, chances are very high that you’re paying too much to be invested. The impact of the fees you’re paying will not only undermine your investment today, but your investment’s growth, and your long-term financial security. If you hold any of the bond products from Friends Provident International, Generali Worldwide, Hansard International, Investors Trust, Old Mutual International, Prudential or RL360 you’re urged to have an X-Ray Review™ immediately. This is a free, no obligation deep dive into your investment portfolio as a whole, where all costs you have been and are continuing to be exposed to are revealed, and explained in terms of the impact on your wealth. Should I invest in an offshore bond? Investing in offshore bonds can be advantageous for those with a lump sum to invest for at least the medium-term, but costs need to be controlled, and underlying investments well-diversified. Also, the tax benefits of offshore bonds are not always advantageous for those they are marketed to. If you are an international executive and you have a lump sum to invest, you may therefore be advised to wrap it in an offshore investment bond. Whether that is in your best interests or not should ideally be explored with a fee-based, not commission based, financial adviser. All too often the offshore bonds recommended are too expensive and restrictive, and much better and cost-effective options are available. What are the costs associated with tax wrappers? Tax wrappers can be expensive if the benefits are not justifiable for the individual concerned. Investment bonds often are loaded with high establishment charges and high discontinuance penalties. Unscrupulous “advisers” (read brokers) may recommend underlying investments that pay them a trail commission, and therefore have high total expense ratios. This can significantly harm investment returns. The main charges to be mindful of are establishment charges, administration charges, dealing charges, fund manager charges, and exit charges. Be clear on each of these. Offshore bonds can provide an investor with the ability to defer and plan taxation. As financial planners, we use these wrappers to assist clients with their (often) fairly complex tax planning needs. Being able to hold assets offshore and pay no tax on the capital increases or income distributions until a point in time specified by the client, to fit around other controllable sources of income, is a very valuable tool. Many expatriates prefer to invest in offshore funds via offshore bonds rather than onshore unit trusts, because when profits are taken from the offshore investment bond, they are taxed as income at whatever tax rate applies to the investor in the country they are residing in. This can allow the investor to defer tax, to time the surrender of an offshore investment bond, and to control what tax they pay and when they pay it. However, there are limited benefits to setting up these policies whilst resident in a low/no tax environment such as the UAE. Even more comprehensive information may be found in the Insurance Policyholder Taxation Manual (IPTM) - or contact us to discuss your queries. Why are offshore bonds so popular with expatriates? Offshore investment bonds offer potential tax advantages if you spend time residing outside the UK. This is because you can claim tax relief on gains made while you reside offshore. This is called ‘time apportionment relief’ (see above) and you can reduce the tax paid by the proportion of time you were resident outside the UK. Conversely, time spent residing overseas reduces the number of years used when calculating “top slicing” relief. What does offshore mean in finance? When used in finance, the term ‘offshore’ simply refers to a country other than the one in which you’re living. Therefore, if you bank offshore you hold an account in another country, and if you invest offshore you’re just accessing investment products in another country…or investing in another country’s assets. Investing offshore therefore, in its simplest form, is simply investing in a country other than the one in which you live. Just as offshore banking is holding an account in a country other than the one in which you live. There are many reasons to consider investing offshore in funds or bonds or even real estate – one of the most common reasons is to gain exposure to opportunities not available in your home country. Whether you choose to maintain what’s called a home country bias – where you retain and bank and invest your wealth in the country you live in – or you choose to think more internationally, and perhaps go offshore, is a personal decision. In this article we focus on a particular type of offshore investment, namely bonds. We explore the pros and cons of these products, discuss who they are potentially advantageous for, and highlight the main risks that we feel very strongly are not highlighted sufficiently well to potential investors like you. How the rich invest tax free offshore? One important point to cover is whether tax free investing offshore is only for the rich (or dodgy!). The financial concept of offshore has gained a certain amount of notoriety thanks to media focus on complex tax avoidance strategies employed by all and sundry, as exposed in the likes of the Panama Papers. Investing or banking offshore is not illegal. It is also not the exclusive right of rich and infamous. If you’re an expatriate for example, i.e., someone living, working or retired in a country other than your original home country, there can be countless benefits to saving, investing and banking offshore. Depending on where you live, the tax rules you’re exposed to and the financial solutions and structures you choose, you too may be able to enjoy some of your wealth tax-free by going offshore, or perhaps defer the payment of tax – which is a particular feature of an offshore investment bond. An offshore investment bond is a financial product. It is an investment wrapper used by investors who may want control over when they pay tax, how much they pay and where they pay it.